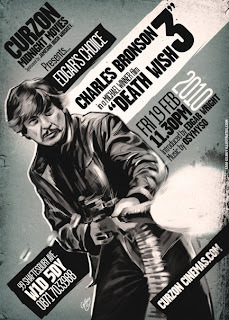 Curzon Midnight Movies is the latest initiative to create collective events for cult film fans in the UK. It's kind of an attempt to recreate what happens in the US in places like the Alamo Drafthouse and the New Beverly (which Quentin Tarantino now owns). Yes, we have the NFT on the South Bank, but it always feels a bit frusty and severe. It's sponsored by Jameson, who also do their own film nights. The next one is a showing of Moon at the Royal Institution on 17th of March. Both excellent initiatives. Just as the iPod was reckoned by some to have increased the audience for live music by making people want to experience the music collectively too, I'm sure lots of people who love to collect DVDs would like to see some of the classics on the big screen as well.